A20 GPIO ports are 32 bit registers listed in alphabetical order PA, PB, PC, PD, PE, PF, PG, PH, PI. In Armbian GPIO ports are numbered from 0 to 287 corresponding from PA0 to PI31. If you did everything correctly you will see gpio226 listed. Once we set the GPIO as output we can write 1 or 0 to it’s value and this will make GPIO port to supply 3.3V when 1 is written or 0V when 0 is written. the result will be 0 if the GPIO voltage is between 0.0-1.0V and 1 if the voltage is between 2.3-3.3V. If the voltage on the GPIO is between 1.0 and 2.3V the attempt to read will return randomly value 0 or 1. 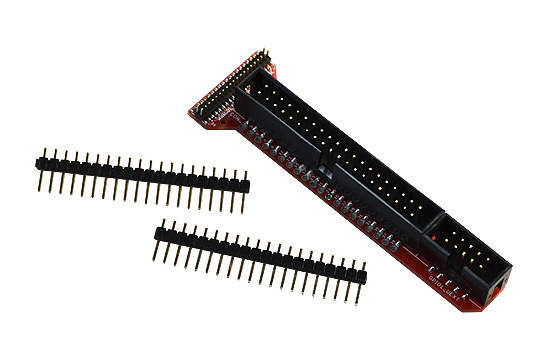 Be careful when playing with the GPIO ports, some of them are wired to important peripherials like LCD, Ethernet, USB, SATA etc and writing bad values may break the functionality or even damage the board. Test your knowledge on GPIOs which are not connected to anything is best approach. We are prepare now new version of PyA20 Python module which will add access to GPIO, SPI, I2C, Serial resources of A20 directly from Python code to work with the new universal A20 Armbian Linux image. We can see square wave with oscilloscope on PH2 with frequency between 3 and 4 kHz. i.e. pulses with high state 125-150uS and low state 125-150uS. The new code produces square wave with 2.13 us high and low state i.e. approx 235 kHz or about 50 times faster than access via shell. Now time to write some examples and if everything works to launch production. We made modules which work same way on all our OLinuXino and SOM boards. The sources are on GitHub. You can address the GPIOs in two ways – as connector pins and as processor ports. A10-OLinuXino-LIME-UEXT is adapter board with Male connector on 0.05″ which can connect to A10-OLinuXino-LIME GPIOs with 0.05″ step ribbon CABLE-40-40-10CM and allow LIME GPIOs to be used with BREADBOARD-1, or with A13-LCD43TS, A13-LCD7TS or A13-LCD10TS. For the moment A20-LCD15.6 is not supported as LVDS signals got noisy when pass through A10-OLinuXino-LIME-UEXT but we are looking for solution. UEXT signals can be used only when connected to GPIO1. On the other connectors UEXT signals will be not present. 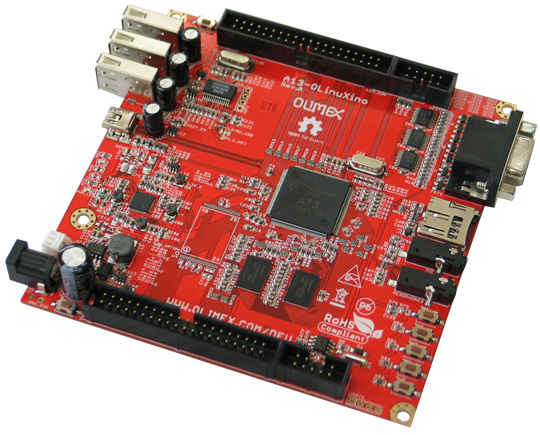 We received A20-SDK2.0 from Allwinner few weeks ago and were working to generate image for A20-OLinuXino but our aim was to add support to all hardware features the board offers. The process was pretty slow as the compilation is very heavy and even small change requires hours of waiting the image generation to complete. 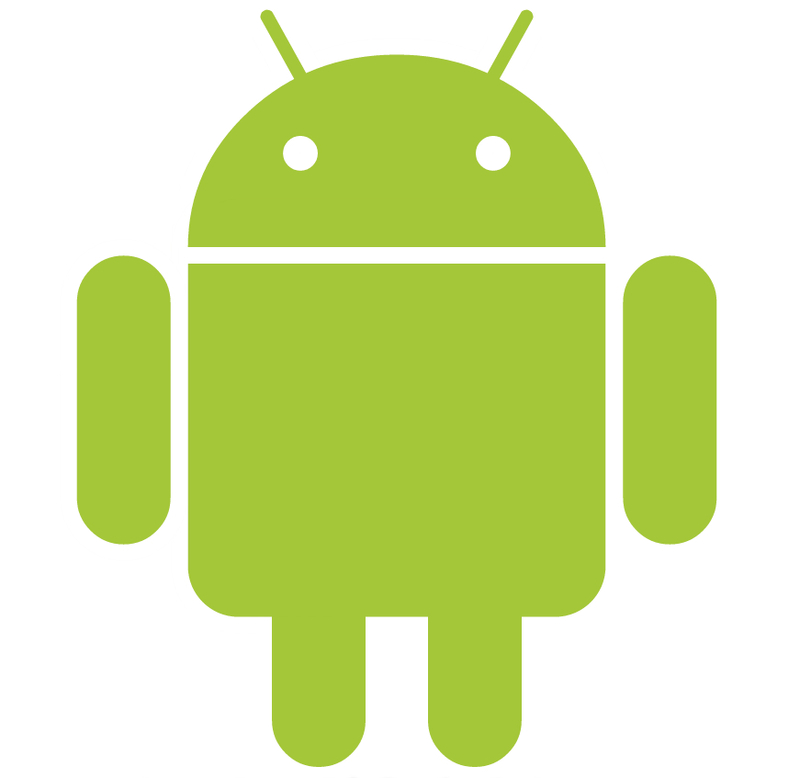 Two images are uploaded on Wiki: one for 7″LCD and one for 10″LCD, the good news is that the Android 4.2.2 with SDK2.0 now support higher resolution as previous SDK for ICS 4.0.3 had hardcoded 800×600 max resolution which made 10″LCD and HDMI useless.